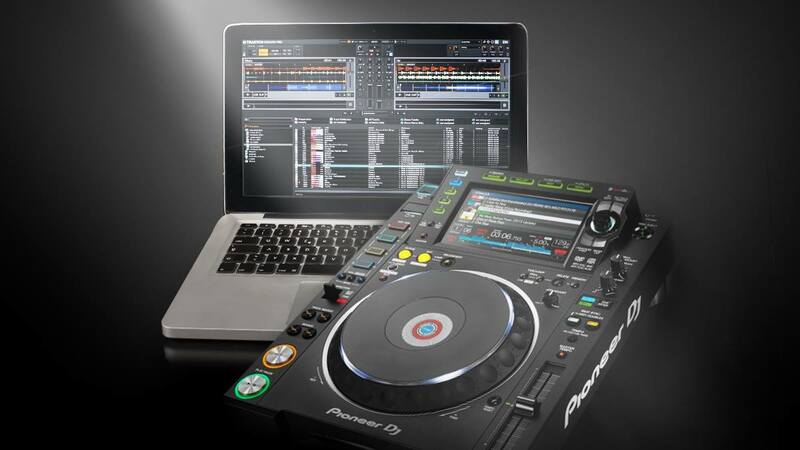 Home DJ News Will The Replacement Of Music Downloads By Streaming Affect Digital Djing? 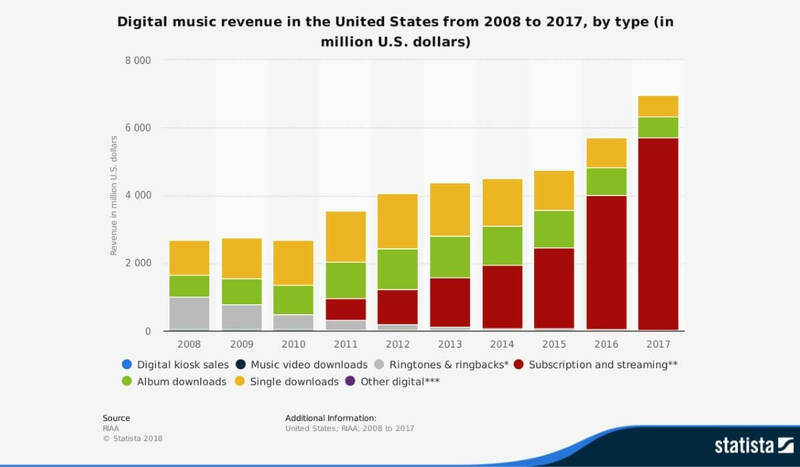 As you must know by now, music downloads is a dying business. The rumor that Apple will close down their iTunes store has been going around for years, as streaming is quickly making music downloads irrelevant. I believe this will have an important effect on digital djing. But before we go into the reasons why, let’s clear up what digital djing means. Digital Djing is using electronic music files to mix music. It doesn’t matter if a midi controller is used, or a media player, or just a computer: if the audio source is a digital music file, then it counts as digital djing. Back in the early 2000’s, when digital djing emerged, MP3’s were the next big thing. Everyone had a big local collection of digital music and a DJ controller was an easy and practical way to put that collection to good use. The reason I actually started DJing digitally back in the early 2000’s is that I already had all those MP3’s (I actually bought all my music so it was pretty decent quality) ready to go. The switch to digital was as simple as downloading a trial version of Virtual DJ and get started. Fast forward to 2018. Streaming services have taken over, and kids these days hardly know what buying digital music means. Actually, millennials will probably spend more on vinyl records and CDs than on digital downloads. Well, that’s kind of an issue when it comes to digital djing. And I’m not talking about professional DJ’s that use media players in clubs. Of course, these DJ’s will acquire their music on dedicated sites like Beatport and others. 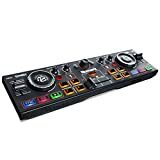 I’m talking about the starter that goes out and buys a beginner DJ controller and realizes that it doesn’t work with any of the streaming services that they are subscribed to. 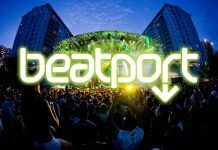 Sure, Beatport has acquired failed streaming service Pulselocker and they plan to integrate this service into the big DJ packages in the future. But that will take a while and it means that aspiring DJ’s will to subscribe to additional services next to what they already use because there is no indication that Apple Music will license their content to use in DJ apps. And although that you can use Spotify in djay Pro, it doesn’t work with other DJ packages such as Rekordbox DJ and Serato DJ. Basically, there is a big chance that in the near future, if you want to DJ digitally and you don’t have an offline digital music collection, it won’t be a given to use your already existing streaming subscription service, and you will have to invest in a separated streaming solution, or buy your music from specialized stores. In my opinion, this will gravely affect the willingness of young people to go into DJing. I just cannot see how they will be willing to pay separately for digital music since they are so used to have access to millions of tracks through their streaming service. Okay okay, back in the days, Djing was really expensive. Building up a vinyl collection demanded a serious investment, and even if you used CD’s, those didn’t come cheap either. The difference is that now, the mentality around music has changed. Much more than with movies (people still spend a lot of money in cinemas), people, and especially young people, believe that music should cost next to nothing. Music has become a service, rather than a product on itself. You pay your monthly fee to Apple Music, Deezer or Spotify, in the same way, you pay your cable subscription. What can DJ gear & software companies do? It’s evident that big players such as Pioneer DJ, Serato, Native Instruments and other will have to address this reality in the future. Strategic deals with Apple, Spotify, and others will have to be closed to ensure unrestricted streaming of their catalog in DJ apps, including the local storage of music on computers, as no serious DJ will risk his DJ set over a faulty internet collection. Also, a DJ needs to be able to count on streaming services not to abruptly remove tracks from their collection without warning. Being a DJ means being very intimate with your tracks, and not knowing if your favorite tracks will still be available next time you search for it during a gig is not a good place to be. In my view, the best way to go about this is to create streaming services for DJ’s, that guarantee catalog integrity, offline usage, compatibility with many DJ software packages and support for things like cue points, beat grids, BPM detection, etc. I reckon this won’t be cheap to subscribe to, but to me, it’s the only way to convince serious DJ’s to give streaming a chance. In any case, any serious DJ will have to keep building on their offline music collection, one way or another. If you already get your music from record pools, there is no reason to stop doing that, furthermore, don’t expect remixes, mashups and DJ edits to be available on Spotify or Apple music anytime soon! 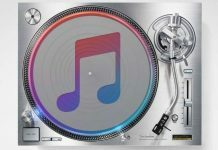 Although the death of music downloads will undoubtedly affect digital djing, there is no reason to expect it will kill it. 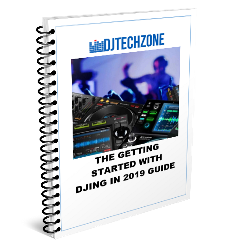 Sure, DJ gear and DJ software companies will have to adapt their product offering to this new reality, especially when considering the business coming from beginner DJ’s that buy their first DJ controller and realize it doesn’t work with their existing music streaming service. If the industry manages to find a way around that, the impact should be minimal to their bottom line. What are your thoughts on the death of music downloads and the challenges of streaming? Did you already use streaming during a DJ set? How did that go? Comment below! Is Apple Killing Music Downloads Soon?